If you are pregnant, you are probably aware of the continually changing hormones in your body. But did you know that these hormonal changes can also affect your gums and teeth? Hormone changes during pregnancy can affect the way that your gums react to plaque and bacteria. Gum disease starts as gingivitis, an infection of the gums. Its symptoms include red, swollen gums that may bleed when you brush or floss. 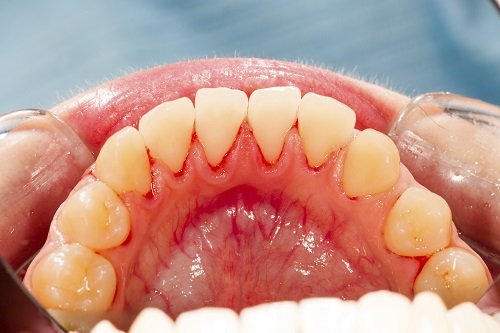 Untreated, gum disease can quickly become periodontitis, a more severe form of gum disease. When it has reached this stage, bacteria have traveled below the gum line and gotten into your teeth and jawbone. You may experience receding gums, weakened jawbone and loose teeth that can fall out. During pregnancy, you are more susceptible to getting gingivitis, particularly during the second month. If you already have gingivitis, it can easily become worse very quickly. When gum disease progresses and bacteria gets into your jawbone, it can get into your blood stream. Once there, bacteria and infection can spread throughout your body, including your uterus, where your baby is developing. Research suggests that the bacteria from gum disease that travels to your uterus may trigger chemicals that can induce labor, often resulting in premature birth. Along with gingivitis, pregnant women are much more likely to develop pregnancy tumors, small non-cancerous growths that often appear when gums are swollen and irritated. They usually disappear on their own after your child is born, although your dentist can remove them if they are particularly painful. Just because you are more likely to develop gum disease during pregnancy, doesn't mean you have to. Brush your teeth at least twice a day, and pay extra attention to the area near the gum line. Floss daily. And be sure to eat a diet rich in nutrients that can keep your gums healthy, such as vitamin C and B12. And be sure to contact our office for regular cleanings.